An American comedy with a very 90's British feel. Rik Mayall plays a borderline psychotic imaginary friend. Phoebe Cates is going through a tough breakup with her boyfriend. 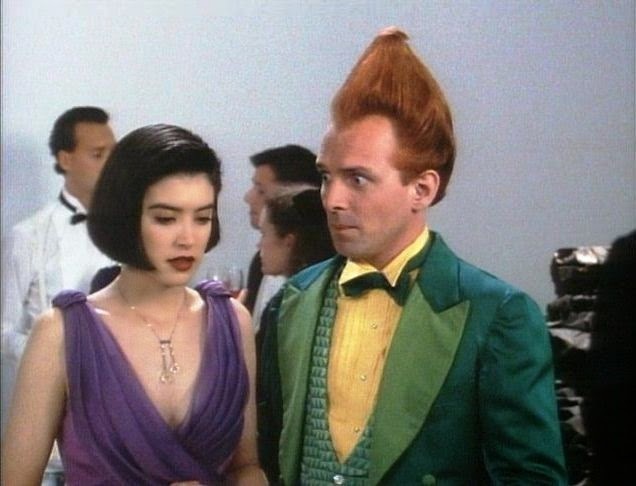 She moves home and is reintroduced to Drop Dead Fred, her childhood imaginary friend who got her into a lot of trouble as a kid and now picks up where he left off. Watching this as a child in the nineties, this movie was hilarious. Watching it now....not really the same experience. It is still a quirky comedy that kinda works, but looking at it from a parents perspective, it's a wonder that the film was ever released in it's current form. It is essentially a children's comedy which has alot of swearing and some very adult themes. Granted these may not have been picked up on by children at first glance, but it has a 12 rating - which was probably a 15 rating back in the early 90s. 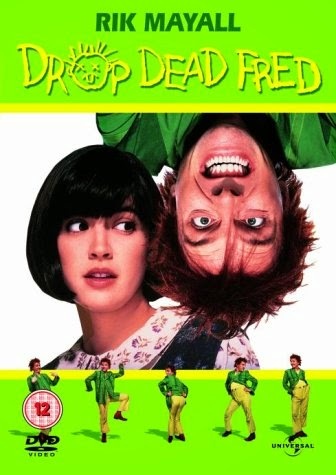 I still enjoyed watching Drop Dead Fred, but it really did feel dated and akward ( maybe that adds to its quirkiness ) To be be honest, I think this is a cult film for those who watched it first time round and probably deserves that status, but I wouldn't recommend it for a first viewing now. The universal DVD release which I have is a triple play with Parole Officer ( not a bad film ) and Guest House Paradiso ( A Bottom spinoff movie ) - There are no extras included. Release Rating: 5/10 - Good quality transfer, no extras.